Auditions for LORENZO: THE MUSICAL is now open for Male/Female, 21 years old and above. This will be held on May 29 & 30, 2013 at 5-8pm at De La Salle-College of St. Benilde's Dance Studio Room 613, School of Design & Arts Building, 950 P. Ocampo Street, Malate, Manila. LORENZO is a production of Green Wings Entertainment Network. The play consists of three scenes, each preceding an act of the musical. 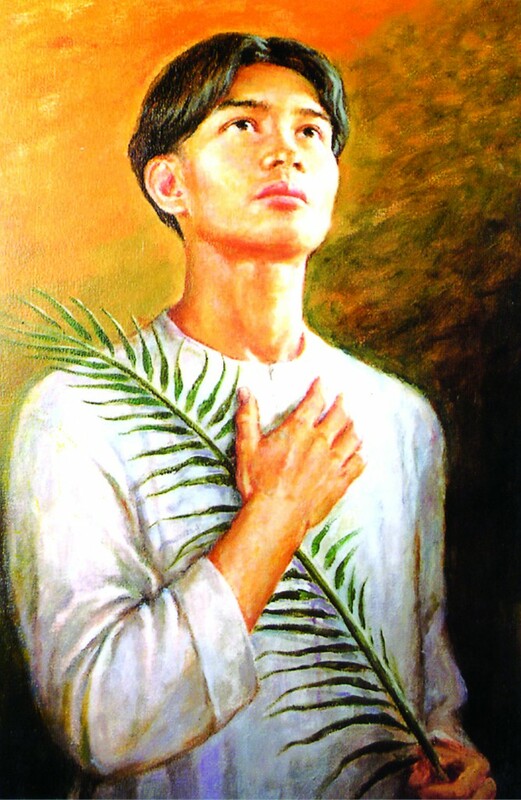 The three acts of the musical tell the story of Lorenzo Ruiz: the first, his flight from Manila aboard a sampan carrying missionaries clandestinely to Okinawa; the second, his year in jail in Okinawa during which the missionaries speculate on the reasons for his flight; the third, his trial and martyrdom in Nagasaki. The play also tells the story of the OFW: he is on death row for having murdered his Arab employer who had raped him; while in isolation, he returns to the faith through the intercession, he feels, of Lorenzo Ruiz; the musical he writes on Saint Lorenzo Ruiz is his way of expressing his thanks to the saint. For questions, you may contact Crisi Laumond 0917-5514378 or Alvin Trono.